It's getting to be that time of year again: Weddings, graduations, garden parties, ice cream socials. Heavens! Have you anything to wear? 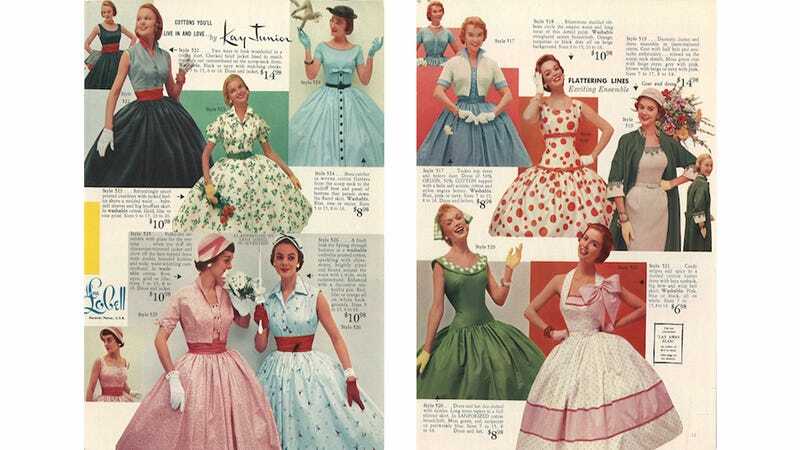 Why not shop the 1955 Lana Lobell dress catalog. You're sure to find something you like. Possibly for under fifteen bucks.